Provide comfort for the family of Harold Chiang with a meaningful gesture of sympathy. 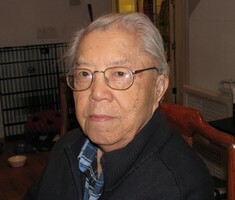 Consider providing a gift of comfort for the family of Harold Chiang by sending flowers. Harold you may have left your earthly body but you will forever live in our hearts. I will miss you and your stories of your youth, going to the farm and hanging out with you. You found laughter in all the situations we found ourselves, I will miss our long talks. Uncle Harold. Wish I told you more how much I loved you, appreciated your kindness towards me, thanked you for your words of wisdom and for your thoughtfulness. You will be missed 💖 My thoughts and prayers are with your family. Uncle Harold you have given a life time of precious memories for me, my family and everyone who came contact with you. Far too many for me to list. So I say "Thank for the Memories". You will be missed. Our dearest neighbour may you rest in peace. Our thoughts and prayers are with Ian and the entire family during this difficult time. Know that he is in a better place smiling down on all of you. In Memory of Uncle Harold, you will always be in our hearts.